Some people don’t like how much Maryland spends or how it spends it, but an outside group says the state is getting a little better at reporting on where taxpayer dollars go. At the same time, a bill passed unanimously and signed by Gov. Martin O’Malley Tuesday is designed to make more of Maryland’s government data more available and searchable to everyone through creation of a new Council on Open Data. 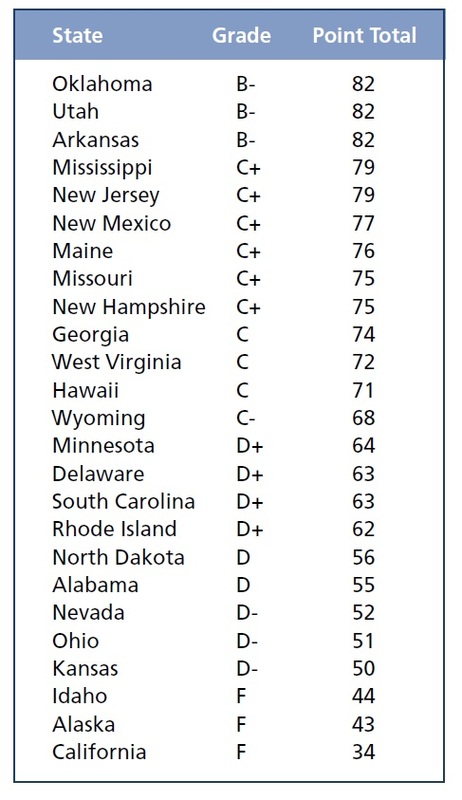 Maryland received a B- when it comes to transparency on government spending, up from a C last year, according to the fifth annual report card by Maryland PIRG Foundation, released Tuesday. The new Council on Open Data was created by SB644 sponsored by Sen. Bill Ferguson, co-chair of the Joint Committee on Transparency and Open Government, which budget language states will now be combined with another committee on the state’s information technology. The legislation with some amendments had the strong support of the O’Malley administration and good government organizations such as Common Cause, the League of Women Voters and the Sunlight Foundation. The new law replaces two executive orders by O’Malley, and creates a 37-member council that includes all the cabinet secretaries and other departments of state government. It is headed by the secretary of Information Technology. This is “a step to make Maryland a more friendly and open state,” Ferguson told his colleagues on the Education, Health and Environmental Affairs Committee. “This stuff is hard, this stuff is complicated and the more you take a dive into it the more complicated it gets,” said Ferguson, a Baltimore city Democrat. One of the keys is buying software and computer systems that are open structure and able to talk to one another. The bill provides guidance on how to do that. In the Senate hearing, several business owners said more accessible government data could be used to create business that manipulate the data and produce usable commercial products or community services, such as the SpotCrime.com website. Major changes to the Public Information Act reported on earlier have now passed both the House and Senate in essentially the same form. HB755 passed the House Wednesday 139-1, and SB695 passed the Senate unanimously March 25. “This is a big step forward,” said Del. Dan Morhaim, the floor leader and a long-time champion of open government and transparency measures.